The severe drought of 2012 had devastating effects on the European olive harvest. A shortage followed which led to prices rocketing. But, thanks to Giles Henschel of Dorset-based www.olivesetal.co.uk - his giant olive could offer farmers new hope. 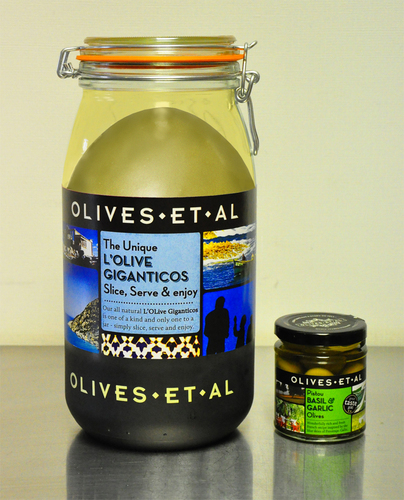 Working with Greek olivegarch Demetri Bondakis, Giles has developed the L’OLive which, at maturity, weighs around 6lb and is equivalent in size to a Honeydew melon. On average, most olive trees bear 100lbs of fruit per season whereas a L’OLive tree produces around 32 giant fruit, so doubling capacity.